A common thread we hear from customers shopping for a new carpet is that they don’t want to see any footprints or vacuum marks on their carpet. People who currently have carpet that shows drastic shading variances recount stories of cringing when they have to walk across their carpet, and even going to the length of vacuuming themselves out of the room to avoid the appearance of footprints tracked across the freshly vacuumed carpet. While we understand the sentiment behind this, part of me can’t help feeling a bit disheartened that some have a soft, plush carpet that they feel they must avoid. Carpet is meant for walking on! You deserve a carpet that you feel free to enjoy, so let’s look at what carpets won’t make you cringe to walk on. Why do some carpets show footprints? To understand why a carpet will not show tracking marks (including footprints) let’s first understand why some carpets do. The style of carpet that most commonly shows tracking is a straight Saxony. This style features cut carpet fibers all twisted in the same direction and presents a finish somewhat similar to velvet. When you brush your hand in one direction across the carpet surface, the fibers appear either darker or lighter than their neighboring fibers. This occurs because when the fibers are moved, they reflect the light particles differently. A textured Saxony is a cut-pile carpet of a uniform height similar to a straight Saxony. However, it is specially designed to reduce the appearance of tracking marks. Textured Saxony carpets—sometimes referred to as trackless carpets—feature kinks or twists in the fibers, which help to disperse the light particles. In other words, because the fibers are not all facing the same direction, light bounces off them in all different directions; so brushing your hand across the surface will not have a remarkable effect on the color variation. Be warned, though, that a textured Saxony will still show some small degree of tracking, so if you are adamant that you do not want to see any shading, this style of carpet may not be your best choice. Looped styles of carpet are an excellent option for someone who does not want to see any tracking marks or shading variances. Tighter loops will provide greater masking of shading marks, as there is minimal movement of the fibers allowed by the small loops. Additionally, ​Berbers are commonly made from fibers that have a wool-like appearance—such as olefin—so they have a bulky, low-luster look. Lower luster fibers do not reflect light as much as high-luster fibers, so they will help reduce shading variances. Friezes have a lot of texture, so they are ideal for minimizing tracking marks. While their long fibers have a lot of movement, their loose pile, and tightly twisted yarns disperse light particles, so there is a very little reflection. Typically, the “cut” part of a cut and loop features short, uniform fibers in a Saxony style, so even though the “loop” part of the carpet adds texture and height variation, you will still likely notice some degree of shading with this style of carpet. Regardless of which style of carpet you choose, lighter colors will not show footprints or track marks as much as darker or even mid-tone colors will. 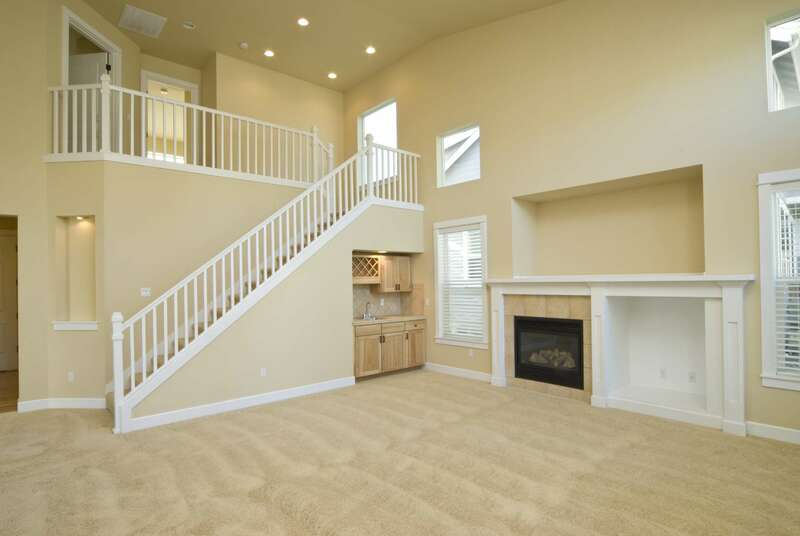 Additionally, a trend that is gaining in popularity in recent years is the blending of two tones in a cut pile carpet, so that the carpet naturally has some lighter and some darker fibers. This look is another great option for minimizing shading variances. What Is Reverse Carpet Pile and How Can It Be Prevented?